Duracion Excursion: Se ajusta a la estadía del crucero. Comenzaremos el tour tan pronto como baje del crucero con destino a Punta Tombo, la colonia de pingüinos más importante del continente americano. Los pingüinos de Magallanes llegan anualmente a este lugar para anidar, aparearse, tener sus crías y cambiar su plumaje, para luego iniciar el viaje de vuelta al noreste de América del Sur y regresar cíclicamente al año siguiente. El centro de interpretación está ubicado en la reserva, donde no solo podemos aprender sobre los pingüinos de Magallanes, sino también sobre la importancia del equilibrio del ecosistema y el cuidado del medioambiente. Según la temporada, puedes ver algunos pingüinos corriendo detrás de sus bebés. En el área también podemos ver guanacos, piches, maras, ñandúes y zorros. 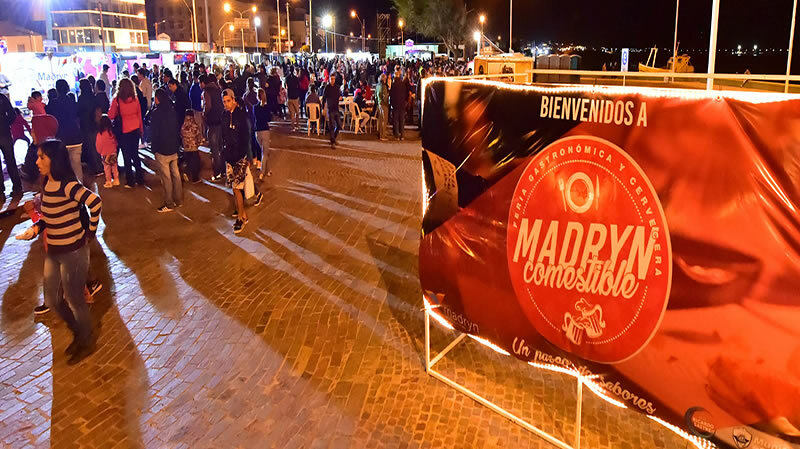 Luego de la visita a la reserva comenzamos el regreso a Puerto Madryn donde si el tiempo es suficiente podemos hacer un city tour. We leave as soon as you get off the cruise to Punta Tombo, the most important penguin colony on the American continent. The Magellanic penguins arrive annually to this place to nest, mate, have their young and change their plumage, to then start the trip back to the northeast of South America and cyclically return the following year. The small museum is located in the reserve, where we can not only learn about the Magellanic Penguins, but also about the importance of ecosystem balance and care for the environment. According to the season you can see some penguins running after their babys. In the area we can also see guanacos, piches, maras, rheas and foxes. After the visit to the reserve we started the return to Puerto Madryn where if time is enough we can make city tour. Comenzaremos el tour tan pronto como baje del crucero hacia el área natural protegida Peninsula Valdés, encontrándonos en el camino con el Istmo Carlos Ameghino, donde visitaremos el Centro de Interpretación, desde su mirador tendremos la posibilidad de observar ambos golfos al mismo tiempo, las características geográficas de la península y la Isla de los pájaros. El recorrido, si el tiempo es suficiente, se podrá continuar hacia Punta Norte donde podremos observar Elefantes o Lobos marinos según la época del año. Si la suerte acompaña, tendremos la posibilidad de ver a los Delfines mas grandes del Mundo, “Las Orcas” que se acercan para alimentarse en un espectáculo ÚNICO en el mundo, tanto en Caleta Valdes como en punta Norte. We will begin the tour as soon as you get off the cruise to the Peninsula Valdés natural protected area, meeting on the road with the Isthmus Carlos Ameghino, where we will visit the Interpretation Center, from its viewpoint we will have the opportunity to observe both gulfs at the same time, the characteristics geographical areas of the peninsula and the Island of the birds. Continuing our trip, we will arrive at the Villa of Puerto Pirámides. Later we continue our trip to Caleta Valdés where we can see elephants seal and sea lions. Has restaurant , toilets, and paths to the coast. The tour, if time is enough, you can continue to Punta Norte where we can observe sea lions but mainly, if we are very lucky, Orcas that come to feed in a BEST show in the world. After the visit to the reserve we begin the return to Puerto Madryn where if the time is enough we can make a city tour. framed in a particular landscape of wooded plots, rugged walls and cliffs tattooed by erosion was the first Municipality of Chubut and interestingly, the origin of its name is not Welsh but Tehuelche and means: “Stone of sharpening” or “Punta de Piedra” ” Here (OPTIONAL) we will enjoy the Traditional “Welsh Tea”, prepared according to ancient customs, which give it a unique taste and perfume, tasting all kinds of Tortas, Breads and Homemade Regional Sweets. We will also visit El Túnel del Ferrocarril where we can learn a bit of history in a very particular way.
. theater Colón that set the pieces in his time. We will find thousands of fossil samples classified according to the different periods of time, ages, antiquity and family genre that show the prehistory itself, among which are the Remains of the . “Titanosaur”, and the biggest dinosaur in the world found in the region named MEGATITANOSAURIO. We can also appreciate the fascinating work of scientists cleaning, restoring and classifying fossil pieces, through large windows, since the MEF is not only a museum, it is also a Scientific Activities Center with an international reputation. The tour begins when we pick you up for the cruise ship on a 17km stretch of gravel road we arrive to the Punta Loma reserve, a protected natural area and the first reserve in the province of Chubut populated by sea lions with one hair, throughout the entire year. With two special lookouts that allow the observation of these species and special trails that allow you to connect intimately with nature, this place is ideal for those who wish to observe fauna flora and take the best pictures of the Patagonian sea. After seeing the Sea Lions we can enjoy a City Tour through the city before the farewell in port or in the city. La travesía en kayak por la costa de Puerto Madryn para Cruceristas, consiste en un recorrido de aproximadamente 3hs ida y vuelta con una parada a descansar y caminar en el medio, partiendo desde la zona cercana al Muelle Luis Piedra buena hasta llegar a Punta cuevas. El recorrido se realiza por la línea costera en aguas bajas y seguras, trayecto en el cual se va informando sobre los distintos aspectos culturales e históricos de la ciudad, como así también información general que siempre se brinda al turista. Para este producto se utilizan Kayaks de travesía dobles, muy estables y simples de maniobrar, por lo cual no se necesita experiencia previa. Las salidas son acompañas por un idóneo en la materia en un kayak individual o en un doble junto a un turista. Todos los participantes deberán utilizar obligatoriamente el chaleco salvavidas y otros elementos de seguridad provistos por la operadora, como así también se brinda una charla previa de seguridad. *Consulte por guiadas en otros idiomas! (contratándolas con 48hrs de anticipación) pueden optar por cualquiera de las excursiones de nuestra grilla y se les incluye un snack a bordo. EXCURSION TIME : IN ACCORDANCE WITH THE STAY OF THE CRUISE. OBSERVATION: BILINGUAL BUS DRIVER (ENGLISH) - CONTRACTING IN ADVANCE CAN CHOOSE OTHER LANGUAGES. We offer “WORRY FREE" REGULAR SERVICE: EXCURSIONS TO PENINSULA, PUTA TOMBO, LOWER VALLEY, AND PUNTA LOMA. Excursions to Península Valdés and Punta Tombo for passengers of the cruise ships that moor in Puerto Madryn! We will begin the tour as soon as you get off the cruise ship to the Peninsula Valdés natural protected area, meeting on the road with the Isthmus Carlos Ameghino, where we will visit the Interpretation Center. From its viewpoint, we will have the opportunity to observe both gulfs at the same time, the characteristic geographical areas of the peninsula, and the Island of the Birds. Continuing our trip, we will arrive at the Villa of Puerto Pirámides. Later we will continue our trip to Caleta Valdés, where we can see elephant seals and sea lions. We will have access to restaurants, toilets, and paths to the coast. The tour, if time is plentiful, will permit us to continue to Punta Norte, where we can observe sea lions; but. Mainly, if we are very lucky, we can also observe Orcas that come to feed in the FINEST show in the world! After the visit to the reserve, we begin our return to Puerto Madryn, where, if time is sufficient, we can enjoy a city tour. Includes snack – entrance fees are not included to the reserve.